It is said that time is money and knowledge is power, but when it comes to investing, time is power (when you invest in a good company, time becomes your most powerful ally, giving you compounding returns) and knowledge is money (a stock that once bought, pays you for lifetime through dividends and capital appreciation). Before you commit yourself to making a fortune from stocks, you need some initial capital to start with, and there after, some amount of capital to be kept aside for investing every month. This book is a timeless classic that reveals all the secrets of personal finance, money and saving. The book feels like a story while reading but is one of the greatest and most inspirational works on subjects like thrift, financial planning and personal finance. The book is a must read for those with no financial knowledge or want some inspiration to make their life financially meaningful. As the name suggests, the book is very short read, written by Joel Greenblatt, founder of Gotham Capital, a fund that gave average annualized return of 40% for 20 years. In this book, he provides a very simple magic formula that is easy to use and maximizes return on investment. The basic principle of the book is buying good companies at a bargain price. What sets this book apart is the fact that the author uses simple, 6th grade math to explain his principles, which can beat the market and professional investors by a wide margin. The language of book is very simple, does not require financial background to understand and uses humor to keep readers engaged. The book also talks about how an investor should view the market, why financial success eludes most individual and professional investors and why his formula will always work. One of the wisest money managers of all time, Peter Lynch worked as a portfolio manager at Fidelity Magellan fund, which performed exceptionally during his time. Peter Lynch maintain that contrary to popular belief, investing is pretty simple and a person with average intelligence can do better than most money managers using his principles. Peter Lynch in his book explains, how an average person can find great companies to invest only by looking around him and being observant. You just have to notice what you use and like and what other use and like and you may have found a wonderful company to invest in. Great companies do not necessarily have complex products, in fact, good companies are made of simple products, offered at an affordable price. Look for the companies with simple products or service, that have been posting good numbers but are unnoticed by big guys. Also called the bible of investing, written by Benjamin Graham, mentor of Warren Buffett, Billionaire investor, who calls it the best book “the best book about investing ever written.” A must read if you are serious about investing in stocks. Although it was first written in 1949, post World War 2, but its investing principles are still relevant. Benjamin Graham was a value investor by heart, a man who religiously followed “price is what you pay, value is what you get” principle, Warren Buffett’s immense fortune is a living proof that the principle of investing mentioned in the book work, and they work for everyone who is ready to work on them. The examples in the book may look outdated, but commentary written by Jason Zweig gives you a more relevant and modern ways to implement Graham’s old school principles in today’s online world. The Entrepreneurial investor gives a completely new perspective to investing in stock markets. While most investors treat stocks either as lottery tickets (like short term or day traders), or assets (such as long term investors), The Entrepreneurial Investor inspires you to treat your investments as business and think of yourself as owner. The Author explains how an “ownership” perspective can change the way you perceive the markets. Book touches very basic points about why it is important to base your investment decisions on logic rather than intuition, thereby eliminating the speculation out of investing. The book also examines how elements of focus, opportunism can improve your overall investment results. 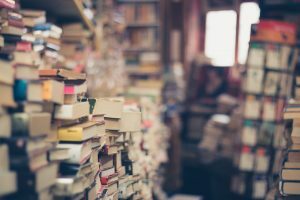 The books mentioned above can be read and understood by anyone, it does not matter whether you have a financial background, or any prior experience of investing. I would recommend you to read books in the order in which they are mentioned, start by reading The Richest Man in Babylon, it will help you in maintaining financial discipline which necessary before starting to invest in stock market. The little book that beats the market is a simple, no nonsense book that give you a magic formula that works, it explains how an average investor can analyze stocks without getting into complex financial formula, and beat the market in the long term. One up on wall street inspires you to use whatever you already know to your advantage just by being more observant, and how simple boring-looking business can become multi baggers in the long term. The Intelligent investor, explains how to buy great business at a bargain, by comparing the market price of the company with the underlying value of the business. It may take some time for you to understand especially if you are not from a financial background, but once mastered, you will learn the art of successful investing like Warren Buffett. The entrepreneurial investor in my opinion is the most advanced book on investing that treats investing in stocks like a serious business. Although the principles followed in the book are highly inspired from The intelligent investor (which the author also admits), what sets this book apart from other books is it deals with the psychology of investing rather than strategy. You probably have read some of the above mentioned books, you can always share your opinion on these books and how it has shaped your investment strategy. In case you have not read them, please go ahead and read them, and share your views with me in the comment section below. I hope you will find them useful. Thank You Hari, Glad you are finding them useful.